Designs range of outdoor adventure and modular playground equipment. 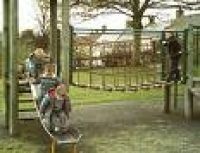 World-renowned designer and UK manufacturer of outdoor play equipment. With over 100 years experience, we are design-led, child-centred, innovative and quality driven.